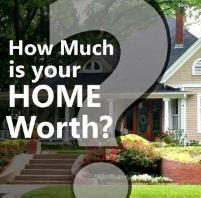 “How much can I afford to pay for a house?” is one of the first questions to cross every home buyers’ minds. Housing Ratio--Your housing ratio is also known as your income ratio and it is defined as your total monthly payment divided by your gross monthly income. Generally this ratio should not be more than 28%. For example, if you find a house where the total monthly payment is $1400.00, then your gross monthly income should be at least $5000.00. Sidebar: Your total monthly payment includes principal and interest, real estate taxes, and homeowner’s insurance and is known as PITI. Debt Ratio--Your debt ratio is also known as your obligations ratio and it is the sum of all your monthly debt payments including your mortgage payment divided by your gross monthly income. Generally your debt ratio should not be more than 36%. As in the example above, with a gross monthly income of $5000, the total sum of debt should not be more than $1800/mo. Lenders use these ratios as guidelines to help determine how much of a monthly payment you can afford. In good economic times these ratios are increased and it is easier for people to qualify for a loan; in harder economic times, these ratios are decreased making it harder for people to get a loan. How much you can afford to pay for a house also depends on the type of loan obtained and how much of a down payment you have. If you have a conforming loan product (a loan where the annual limits are within those set by Fannie Mae and Freddie Mac), then your interest rate will be lower than if you obtained a jumbo loan (a loan amount which is greater than the limits set by Fannie Mae and Freddie Mac). For 2008 the conforming loan limits for a single family home range from $417,000 to $625,500 in a high cost area. If you have less than a 20% down payment, then you will have to pay PMI (private mortgage insurance) until the house appreciates by 20% or you pay down the loan amount by 20%. 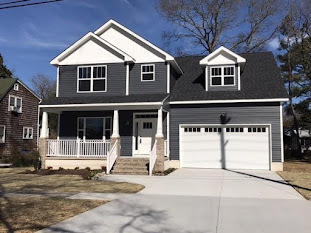 Should you have less than a 20% down payment then you may wish to consider a VA loan if you qualify or and FHA loan along with several down payment assistance programs which may effectively get you 100% financing. 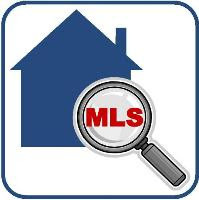 If you are considering purchasing a home in Hampton Roads and would like specific information about your personal situation, please feel free to contact me. I look forward to the opportunity to be of service! Excellent information Liz! Your site is incredibly informative. Thank you.